For most anime fans, though, moe is a feeling inspired by visual and auditory stimulation from anime, manga, or video games. It’s a feeling that is just several degrees stronger than simply thinking something is “cute.” To be fair, there’s more than one way to moe, but for the intents and purposes of this blog post, we’re sticking to the classic too-cute-to-handle approach. We need to talk about how unbearably cute this show is. If you’re not watching the show for Tippy, you’re watching it for Chino, Cocoa, or any of the other café-related named characters. We’ve mentioned the show’s beautiful anime background art, but a blog about moe anime wouldn’t be complete without mentioning this show! 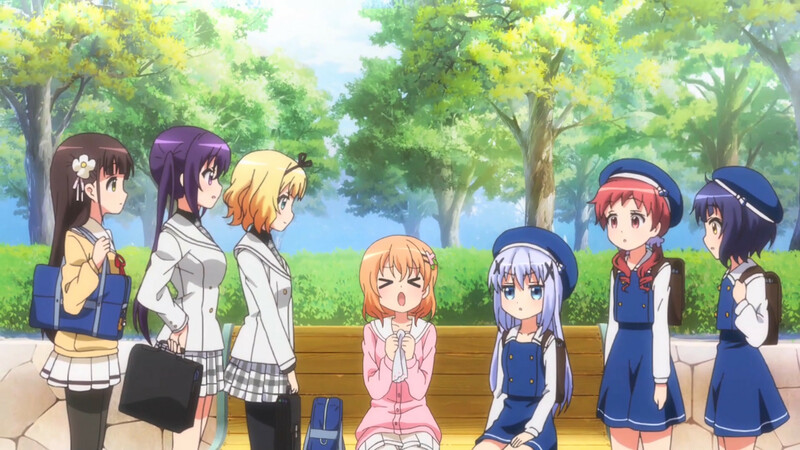 Renge, the youngest in her group of four girls, never smiles. Nevertheless, she’s the staple of this moe anime series with her blank-faced antics that often have the power to throw the other girls into chaos (she also meows sometimes and plays the recorder). 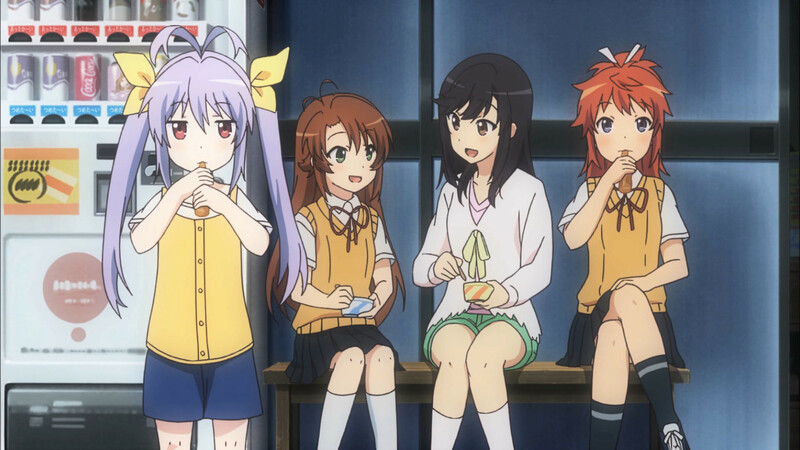 The second season of the show, Non Non Biyori Repeat, showcases priceless moments that showcase an even wider view of the girls’ rural Japanese town. Shinobu visits England as a transfer student and becomes close friends with the daughter of her homestay family, Alice. The story then follows Alice who decides to participate in a transfer student program in Japan. Filled with the wide-eyed awe of discovering a new culture, this show (particularly the adorable script) is really almost too kawaii to handle. 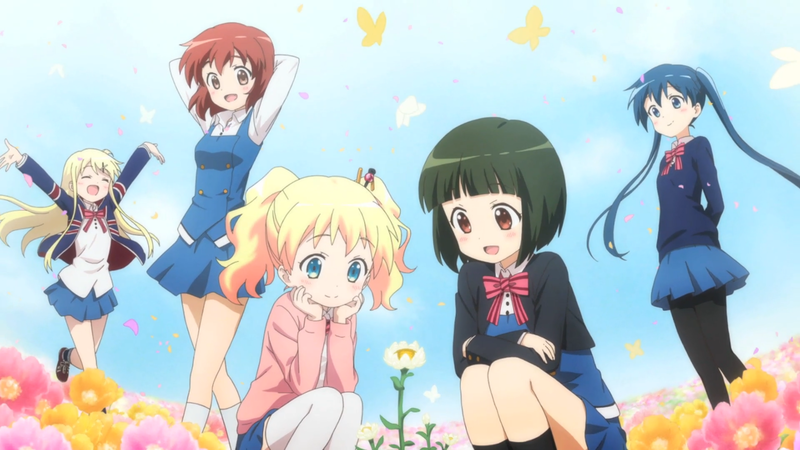 Can we talk about how adorable this short form anime is? How can they possibly pack so much moe into seven minutes? One of the cutest scenes in this series is the moment when Wakaba realizes that what she thought was her mobile phone… was really nothing more than a cordless phone. This bite-sized moe explores everything about wanting to fit in and discovering that you already do. 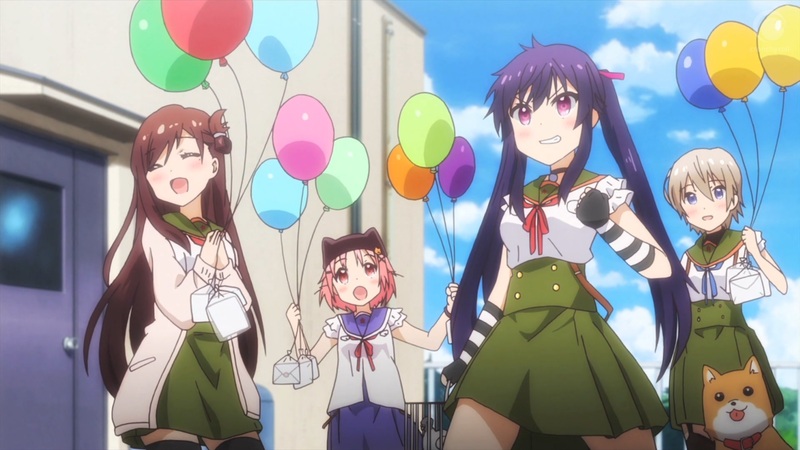 School-Live!, aka the moe-zombie-anime, is about cute girls (and their adorable puppy!) surviving the zombie apocalypse together. The way the series approaches the topic with so much maturity, while contrasting it with typical moe art style, gives you both heartwarming and chilling feelings. Do you like Wild Types? Princess Types? Shy girls? Calculating megane types? 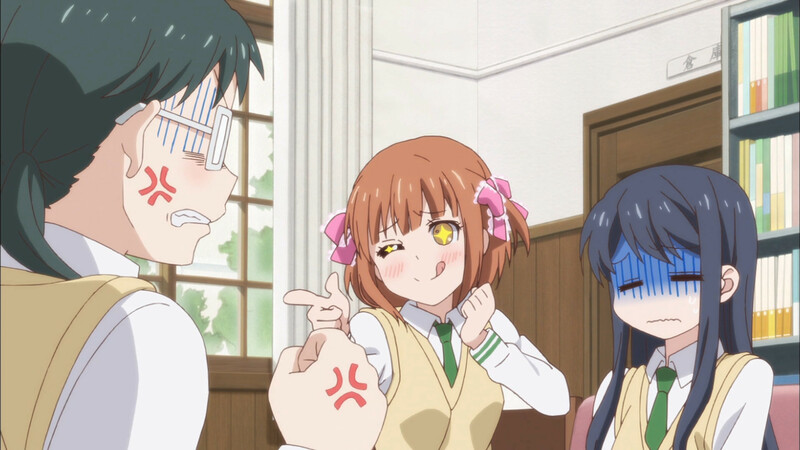 Whatever your tastes, the girls in Love Lab have you covered with multiple shades of moe as they delve into the discovery and exploration of, you guessed it, love. The girls practice tactics for finding love (a body pillow makes an appearance!) that include running with toast in their mouths. Technically, most shows that KyoAni has produced can fall under the moe category. 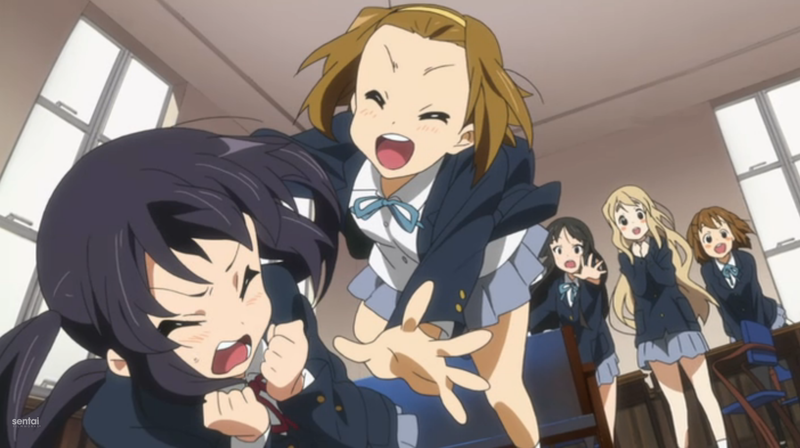 However, a list like this wouldn’t be complete without mentioning K-On! The girls’ antics in and out of practice for the Light Music Club are almost too much to handle in any given moment. The songs they perform, in particular, feel like they were written to keep your moe radar constantly buzzing. If the kawaii title didn’t clue you in, Strawberry Marshmallow is quite literally about cute girls doing cute things. 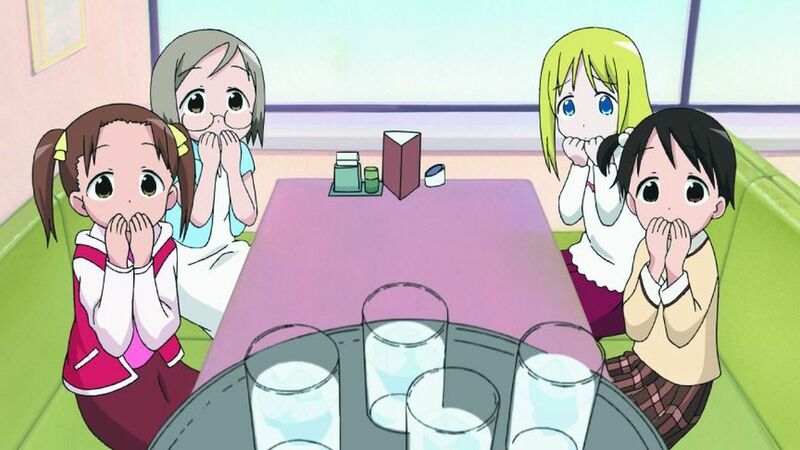 The girls in question are in elementary school, and they encounter challenges like befriending an English girl with bad Japanese, dealing with summer heat, and preparing homemade birthday presents. 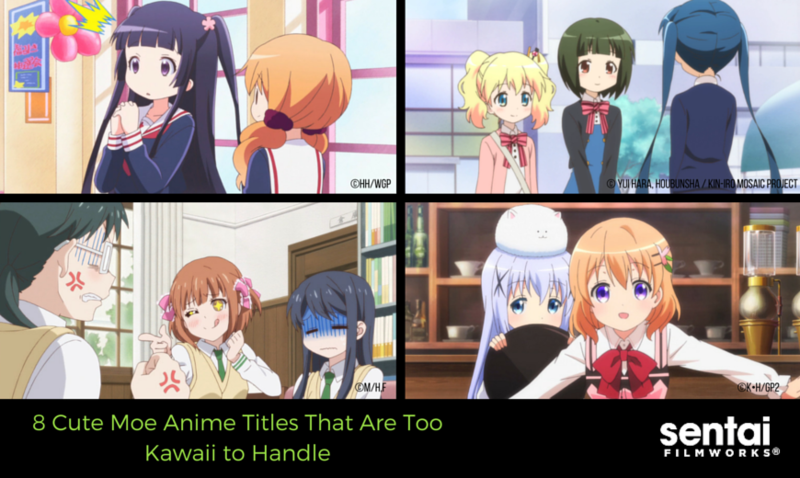 The anime titles and characters on this list all have an endearing moe aspect that makes them irresistible! Watch these adorable anime series and see what kind of reaction you get from exposure to all that cute. Tell us about your favorites on Facebook, Twitter, Google+, and Tumblr!